Sometimes, when out for a walk, Dog takes it into his head that coming back to us is not a good idea. Recall in Salukis is known to be poor but generally Dog does quite well. As long as Mr Mason is armed with a treat of some kind, Dog will succumb and allow himself to be put on the lead. There have been occasions when he has refused to come back and Mr Mason has had to resort to every trick in the book to get him back. The most memorable (and my favourite) was when Mr Mason lay on the ground, whimpering and pretending to be hurt so that Dog came close enough to be grabbed. How that didn’t make it onto YouTube is a mystery to me. This weekend we are seeing friends and on Sunday it is our day to say farewell to our lovely Wave Walkers dragon boating team. We decide to take Dog with us as it might be a long day and he likes lounging in the boot on his 2 enormous cushions wearing the coat that makes him look like a lower league football manager. The day is very cold and, despite the wind whipping across the dock, Mr Mason accepts the invitation to get in the boat and paddle. Dog and I sit in the car keeping warm and I spend time speaking to our friend Ms Frumin about the costs of moving. She has found a lovely Polish man who seems very efficient and has given her a very good quote for her forthcoming move. She sends me the details. (He is coming tomorrow so watch this space) One the training session is finished, we walk to a floating Chinese restaurant in Docklands. 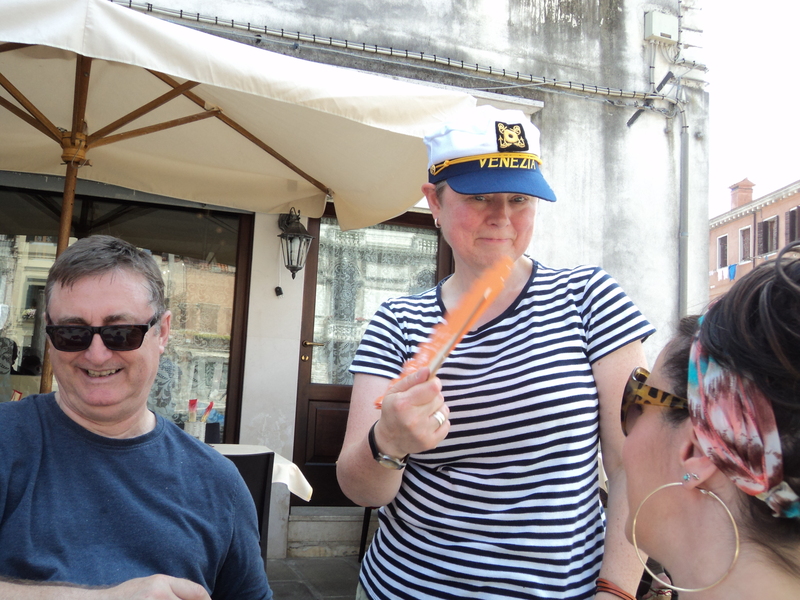 It’s really good to spend time with people we have paddled with for the last 2 years, who were with me when I had my first signs of secondary cancer in Venice and who have been so bloody supportive and brilliant, I can’t begin to tell you. Mr and Mrs Lee, the coach and helm, run Wave Walkers because they love the sport and want to offer it to people who may not have thought of it. They do it without payment and with huge love and enthusiasm and I am blown away by their commitment. They are ace. So, we have a brilliant lunch. One of the great things about going to a Chinese restaurant with Chinese friends is that they choose fabulous food, things we may not have heard of or thought of ordering. They always ask politely if there is anything we particularly like or whether we want to order for ourselves but really, when you have experts in the house it’s best to let them get on with the job. 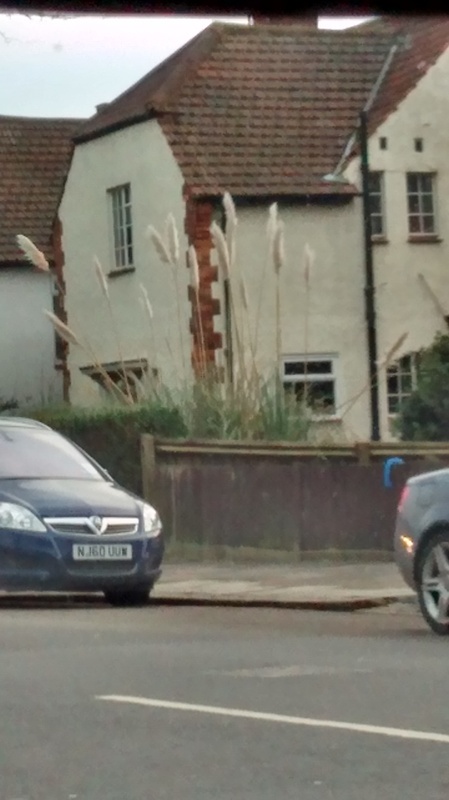 In discussing our move to the country, we were told that having pampas grass in your front garden means that swingers live within. Is there a whole floral code, we wonder? We make a mental note to remove any pampas grass and to monitor closely those in the village who grow it, just to test the theory. 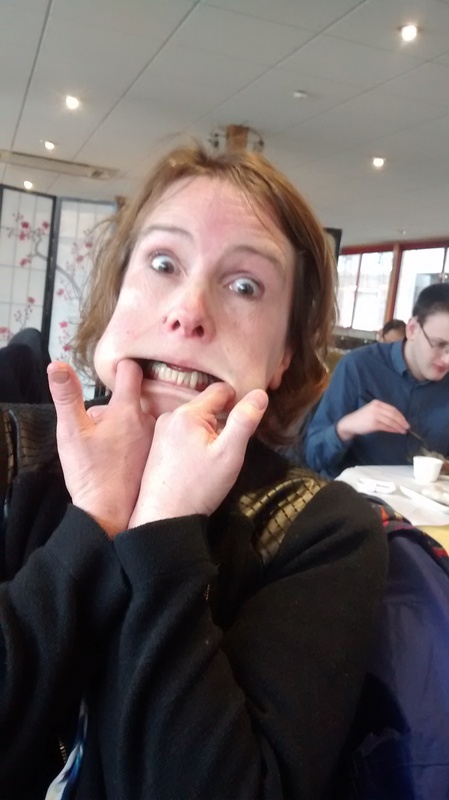 Whilst waiting for the food, Ms Turnbull tells us of the time she accepted a dare to put a whole Mars Bar in her mouth. You have to realise that in those days, Mars Bars were about twice the size they are now so putting a whole one in your mouth was actually quite dangerous. She couldn’t bite down, she couldn’t close her mouth so she just had to try not to panic and allow it to melt. Very kindly she demonstrated this for me. Saturday 8th March dawns a little cloudy but with a promise of sunshine. The temperature is mild, even by March standards. 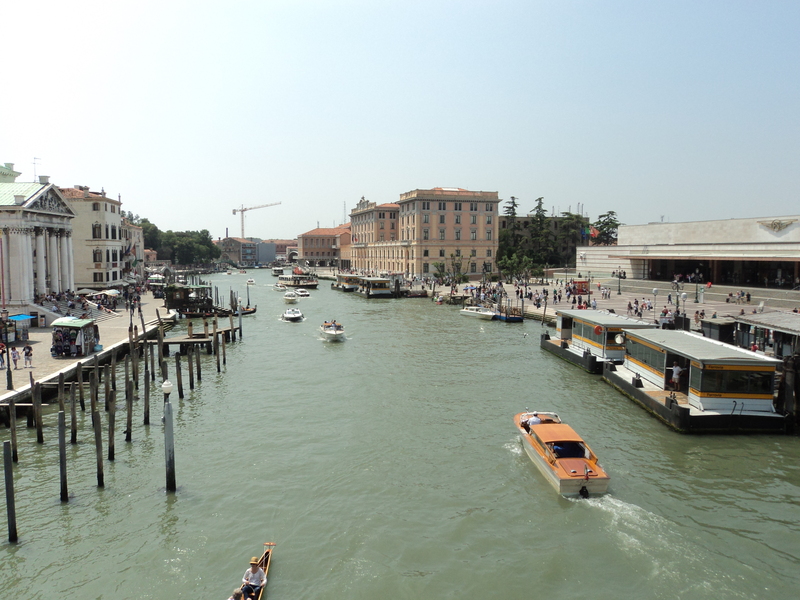 Mr Mason and I get ready for paddling as we are off to the Royal Albert Dock to train hard; it is only a few weeks before we go to Venice for the Vogalonga. Dog makes a sad face as we leave him in charge of the house and cats. It is an important day. 2 years ago I was sitting in hospital being prodded, scanned and biopsied (I’m not sure if that is a real word but you know what I mean) before facing the surgeon who gave me the news that I had cancer in the most cavalier way possible. In case you haven’t heard it before, this is how it went. “I am very worried about you. The radiologist is very worried about you and I think you should prepare yourself” I ask what I should prepare myself for, thinking he is telling me I have terminal cancer. “Well, when you came in here this morning you told me you didn’t think it looked good so I thought you had prepared yourself.” A few sniffles from me. I look blankly at him. What do we do now? “Do you want to read the radiologist’s report?” I do not know. I ask if I should read it. “Well, it doesn’t make very nice reading” he says, deadpan. He looks at me as though I am a boring person at a cocktail party,not the patient he has just delivered devastating, life-changing news to. No smile, no sympathetic look. Absolutely deadpan. And before you go thinking that’s just my memory of events, Mrs Halford is with me and she is shocked by his attitude. She snatches up the report and says “We’re going”. At the desk, pausing to make another appointment, I ask the receptionist through teary eyes whether I can see another surgeon and she confirms in a way that makes me think she knows what he can be like. The man in the blue chalk-stripe suit, the silk hankie tucked into his breast pocket and looking like a man who hasn’t a care in the world. I sometimes see him now when I’m waiting for an appointment in hospital and think – should I ask him if I can talk to him for 5 minutes and then give him a good slap tell him how his delivery felt? Would it make any crack in the hefty veneer? Possibly not. I have not found the courage/energy/will to tackle him. Maybe a letter but I would not know what the response was and that is something I would need to see. So, Saturday, out on the water. It is glorious. We work as a team and I find I am able to paddle a few strokes more each time we perform the gruelling pyramid. We start with 10 strokes with 10 seconds rest, then paddle 20 strokes with 10 seconds rest all the way up to 100 and back down again. It is tough and I cannot pretend I paddle 100 strokes all in one go but by the end of our training session, we find out we have paddled 10km! Wave Walkers even has its own little entry in Wikipedia. OK, cough, cough. I have to admit I added it but why not? There have been many people and events which have helped me on the road to recovery and who have been around through some of my very darkest moments. Especially Mr Mason who found himself holed up in Boston with me on morphine trying to celebrate our wedding anniversary. That was a pretty bleak moment. He didn’t even get anything to eat that night. No fat rascals. Nothing. I cannot name everyone who has had a hand in pulling me out of the cancer mire but it feels quite emotional to get to this point. A point I was not sure I would reach at times. For those of you who read my Facebook blog – I kept most of the bad stuff out of it. It seemed cruel to tell how I was feeling when it wasn’t good. But here we are today, out on the water with fellow cancer survivors, the wind in our hair and the sun on our faces. I have a ribbon in my hair and I may look ridiculous but you know what? I don’t care.